Robust and energy efficient – the hallmarks of the Davey PowerMaster swimming pool pump range. Or maybe you want high energy efficiency of the Davey PowerMaster ECO. Three speeds, with it’s 8 star energy efficiency rating, lower operating costs, low noise output and low greenhouse gas emmissions all using a cleverly designed, state of the art 3 speed brushless DC motor. So clever and effective is the Davey PowerMaster ECO, the swimming pool industry voted it the Splash 2012 Product of the Year and Energy Saving Product of the Year. For swimming pools using in-floor cleaning systems, the PowerMaster 350 and PowerMaster 450 provide the pressure and flow to ensure you system works perfectly when you need it. Recent additions to the range include the PMECO3, with control via a wired remote control and adjustable set points. The PMECO2 offers a two speed option, providing good value with operating savings and rated at 6 stars.  To ensure the best selection is made for your application, please contact Bridgeswade who will advise on the right model to suit your needs.